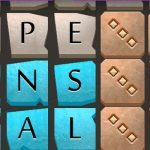 Spellspire is a new spelling game for iOS device users, and it comes to us from a company called 10tons. Actually, it’s referred to as a “thrilling mash-up of word game and action role playing game,” as you can pick letters from a grid to spell words, and use your wand to shoot them, thereby using them as spells. Longer words mean more powerful spells. The enemies you kill will drop gold, which you can then use to buy more powerful wands, as well as other wizard gear such as hats and robes, all with special effects and abilities. You can also enlist your Facebook friends to help you out against the monsters. As the game’s description asks, what awaits you at the top of the Spellspire? How can you get closer to the top, and how can you spell more words and kill more monsters? Those are all very good questions, and we can help you answer them yourself with this list of Spellspire tips and tricks. See a letter “S” in your grid? Or maybe a couple? Go ahead and use the “S” and create a plural word. Fortunately, that’s going to count as a brand new word, and that can really help you if you find yourself in a tight situation. For example, the word “bed” can be treated separately from “beds” if you add an “s” to the end and make it a plural. This is a very simple tip, but very effective in getting you out of those tight spots, and in killing monsters who are close to their last gasp. When you start playing Spellspire, you’ll have only one slot in your backpack for your power-ups. Killing enemies will allow them to drop items, and you can use them anytime – in fact, you can use them whenever you feel you need to! If you’re already carrying one item, you’ll walk past a second item if it gets dropped. What happens if you have some items unused at the end of one level? The good thing is that those items will carry over to the next level, which could be very useful, especially if you’ve already got more than one backpack. You can, alternately, go to the shop and sell your power-ups, if you believe you wouldn’t need them or use them in the future. And, if you’re wondering how much it costs to buy an additional backpack, the cost is rather premium – backpacks are priced at 2,400 gold in the shop. Once you’ve finished a few levels in the game, you’ll be able to earn stars. These stars can be found in levels you’ve already completed, so you can grind it out, return to those levels, and replay them. While most of the upgrades can only be acquired by reaching a certain floor, some of them can only be unlocked if you’ve collected enough stars. You can go to the upgrade screen to see if there are some upgrades you can eventually perform, and how you can unlock those upgrades. Spellspire also has an elemental system, where enemies are weak against a certain element. One example would be the goblins, which you see at the start of the game – they’re weak against fire. Likewise, the corpses are also weak against that element. Take note of the monsters in a level, and bring gear that is strong against their weak element. You can find that information out in the Monsterpedia, which is the first star unlockable item; viewing it will show you data on all the monsters you’ve encountered, and that would include their elemental weakness. 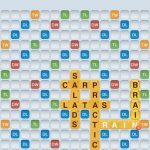 Generally, you should be starting out with shorter words, while remembering that words you’ve already used cannot be used later on in the level. That means you should definitely save your long, big words for the later stages of the level, preferably against larger monsters, especially the so-called “boss monsters.” Bosses are particularly tough, as you may surmise, and they guard chests that come with some powerful new items. 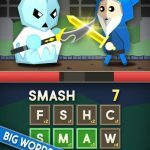 Longer words mean greater damage, so if you’ve got a big word in mind, don’t use it until you know you need it against a particularly big and/or tough enemy. 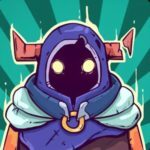 And this wraps up our list of tips and tricks for 10tons’ new mobile game, Spellspire. In case we discover more tips and tricks for the game in the near future, then we will update this guide.